Characterized by their poor design and haphazard image placement, starter packs are a modern phenomenon that can be made to summarize anything imaginable. 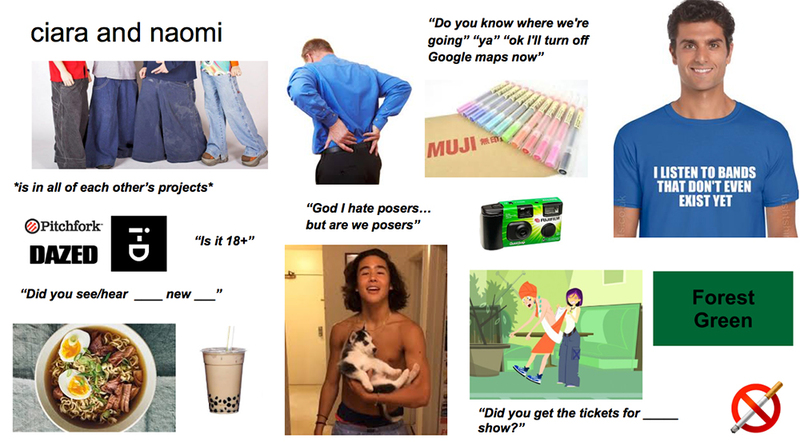 In my journey to create the most unrelatable content possible, I figured starter packs whose audience really only include two people would be my next project. Here, I have compiled starter packs for my closest friendships. 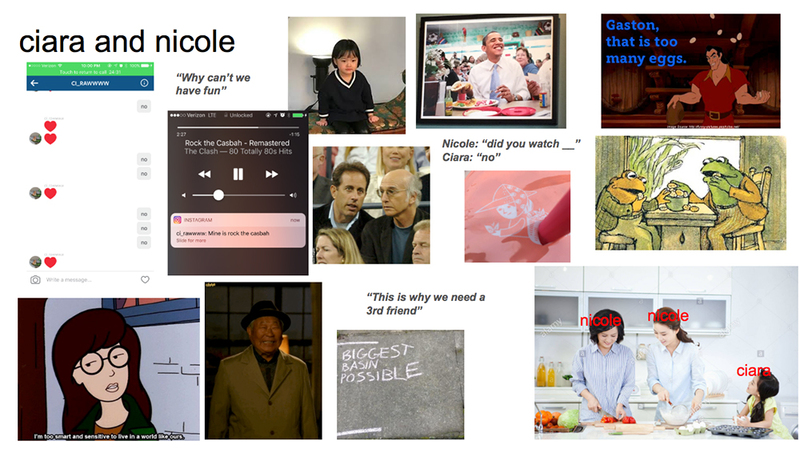 So far, you have met Nicole and Naomi, but do not be startled by the inclusion of the starter pack with Tobi. 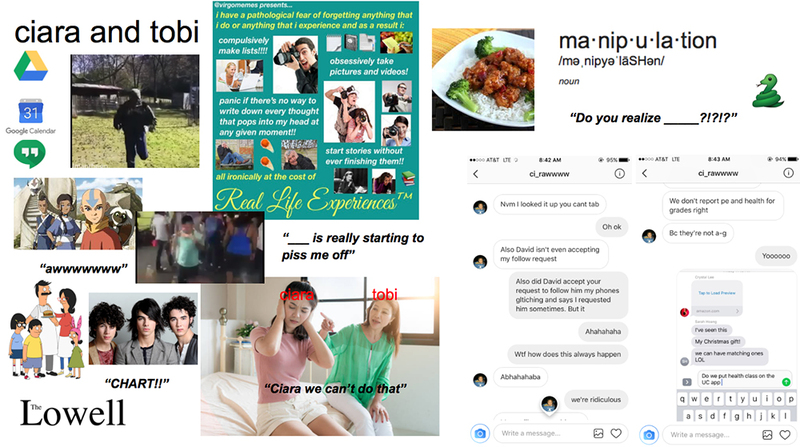 I guarantee you will meet her eventually, but for now enjoy these incredibly niche starter packs that you probably do not find entertaining at all.